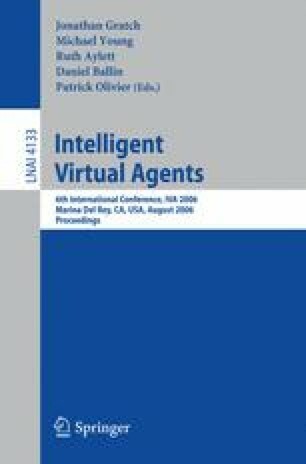 This paper discusses FearNot, a virtual learning environment populated by synthetic characters aimed at the 8-12 year old age group for the exploration of bullying and coping strategies. Currently, FearNot is being redesigned from a lab-based prototype into a classroom tool. In this paper we focus on informing the design of the characters and of the virtual learning environment through our interpretation of qualitative data gathered about interaction with FearNot by 345 children. The paper focuses on qualitative data collected using the Classroom Discussion Forum technique and discusses its implications for the redesign of the media used for FearNot. The interpretation of the data identifies that the use of fairly naïve synthetic characters for achieving empathic engagement appears to be an appropriate approach. Results do indicate a focus for redesign, with a clear need for improved transitions for animations; identification and repair of inconsistent graphical elements; and for a greater cast of characters and range of sets to achieve optimal engagement levels.